The final season of House passed much the same as every other season of House – chunks of absolute brilliance separated by a blocks of mediocre filler. It’s not that most of the episodes are bad, they’re just so unremarkable that they border on the boring. One day I might actually work out which of the 177 episodes are worth watching, probably something in the order of two dozen, maybe another couple of hours compiled from individual scenes from scattered episodes. That would be a pretty rubbish percentage if not for the fact that the resulting couple of dozen hours would be some of the best television of recent years. There are spoilers for the whole series in this review, right up to the final episode. 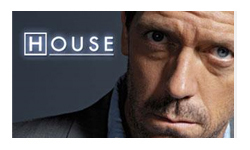 On paper the show may be a medical procedural, but as House himself hilariously points out in the final episode – “nobody cares about the medicine”. The cases of the week fade into the background more than ever this season, maybe under the pressure of trying to round out all the characters storylines before the pre-defined end date. That’s great news, because in reality the show isn’t about solving mysterious medical cases, it’s about characters (as any great show really is in my opinion). Gregory House is one of the most fascinating and unique characters I can remember seeing on television. The writers play up the Sherlock Holmes comparisons a lot, which resonate because House is (we are told over and over again) only interested in the puzzle. The feelings of his patients, colleagues and friends are mostly irrelevant to him; he is only drawn to people and situations which are not boring and can surprise him. It’s all a giant game to him, conducting experiments to find how far can he push people? I remember a sequence from several years back where he reveals that he’s been borrowing ever increasing amounts of money from Wilson to see what value Wilson puts on their friendship. Season 8 however is an exploration of what happens when House is beaten at his own game – first by the law that sends him to jail and can keep him from the medical puzzles, then by a woman who he unexpectedly falls in love with (and is a far better fit for him than Cuddy ever was), and finally he is beaten by medicine itself which tries to take Wilson from him. Each of these problems is beyond his usual tactics of bluster and scheming and each situation forces him to actually address and admit his feelings. The beauty of the writing is that even after so much time in the character’s company, I was always uncertain what he would do and not because the writing was erratic, but just because the character was so believably complex. Sadly the same cannot be said for quite all of the characters, Park and Adams, newly introduced for just this season were fighting a losing battle from the start. Their only real purpose was to occasionally shine a new perspective on the older characters, but in their own rights they never really worked. Adams was yet another variation on a theme of Cameron and couldn’t even begin to compare to the fascinating character that Thirteen had evolved into. Park, like Masters last season, never really felt like she belonged in the same show as everyone else – just a bit too weird and quirky. If Adams and Park were the final wave of ‘ducklings’, Taub is the last standing of the second wave. It’s weird to think that relatively speaking he’s one of the older characters and has been on the show 4 years. While I enjoyed his character and the relationships he established, I never quite cared about him as much as the original fellows. His character never really went anywhere and didn’t get much to do this season, his big revelation this year appeared to be children, but he felt a bit short changed in the character development stakes. At the other end of the spectrum is Chase, he’s always been my favourite of the original fellows and I think he’s the one that really actually learnt from House. Once again, it’s not about the medicine, what Chase learnt was how to manipulate people and get inside their heads, but without being as unfeeling as House. Chase is maybe who House would have been without the constant pain and drugs – still not always a pleasant person, but not a complete jerk . Chase’s character arc was gradual and satisfying and had some really great moments in season 8. His resolution when he finally took control, recognised his own abilities and made his own decisions about his career was immensely satisfying, and House appeared as close to proud as he ever has. 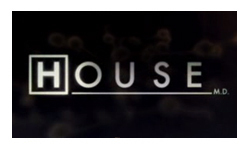 The final shot of Chase’s name on House’s office door as his natural and rightful successor was the perfect resolution for the character. From my favourite character to my least favourites. From the first season to the sixth my reviews always commented on how annoying I found Lisa Cuddy, and my opinion was completely justified by the fact her absence only made this season stronger. Dominica, House’s green card seeking wife was an infinitely better partner for House, accepting him without question. Foreman stepped into Cuddy’s shoes as House’s boss, and although his promotion was ludicrously unlikely and I’ve never much liked the character, he finally felt like he was in the right place. He made a much better foil for House, playing the game to the amusement and challenge of both sides without getting in the way of House’s ability to treat patients or getting caught up in overblown emotions that Cuddy endlessly did. Wilson meanwhile continued to play his own version of the game. I’ve never been able to decide how I feel about his relationship with House, he fell into many of the same self-destructive emotional holes as Cuddy, but also managed to ‘win’ against House just often enough that he didn’t come across as ridiculous. With this being the final season the writers had to answer that question – has House been taking advantage of Wilson all these years, or are they really friends. I could cheerfully murder the writers for deciding that the way to answer that was to give Wilson terminal cancer and to see if House is still selfish. Robert Sean Leonard’s performance was incredible, managing to portray a man dealing with his own issues yet still (by his nature) being worried about his friend and (by nature of the friend) having to continue playing the game. Maybe House is like Mad Men, without so many episodes going by with nothing happening, you wouldn’t actually appreciate the moments of perfection. Without the previous 130 hours, the final 10 minutes where House gives up absolutely everything in his life just to be with Wilson during his final few months wouldn’t have anywhere near the impact. Every time I’ve come close to giving up on the series, it’s pulled something out of the bag and I came back, but it was a losing battle and I think it ended at the right point. In its final episodes it performed the ultimate achievement – pulling everything together in a satisfying ending with the perfect blend of happiness and sadness. The series feels finished, the ultimate question has been answered – House really does care.